and others not yet listed that you need for your system. 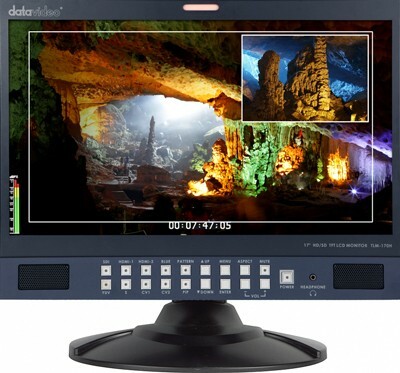 DataVideo's 17" HD-SDI LED-backlit LCD monitor. The LCD displays all video source and output signals for simultaneous view (multi-view). This monitor has 2 HDMI, VGA, YUV (component), S-video, and 2 composite video inputs - all user selectable, and selectable SD or HD aspect ratio (4:3 or 16:9). You can use it for all your display monitor needs and it's perfect as the multi-view display for all Cosmos systems. The Datavideo NVS-25 is allows live-streaming to Youtube, Facebook, and other popular newest generation services as well as recording your HD video right onto a USB drive for later editing or uploading for video-on-demand viewing. 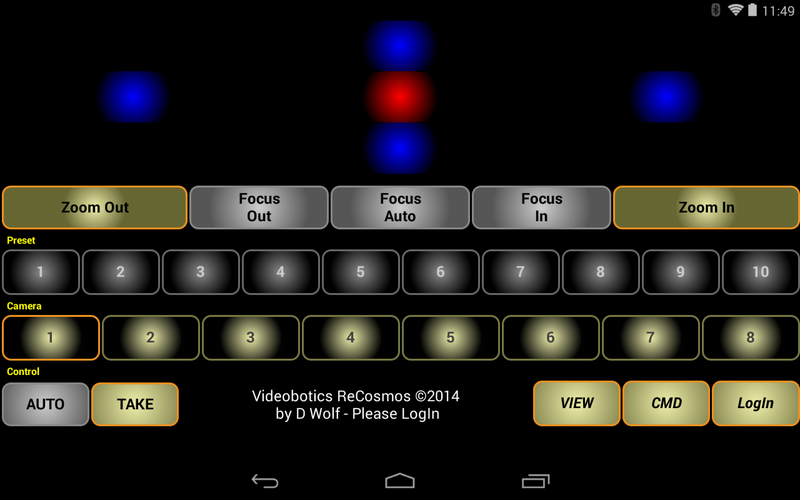 Our new ReCosmos Android Tablet control panel app for Cosmos systems equipped with network-remote support. Use this Datavideo DAC-50 converter to connect the HD-SDI output of the MCS8M to your HD component big-screen display or projector. Add $550.00. 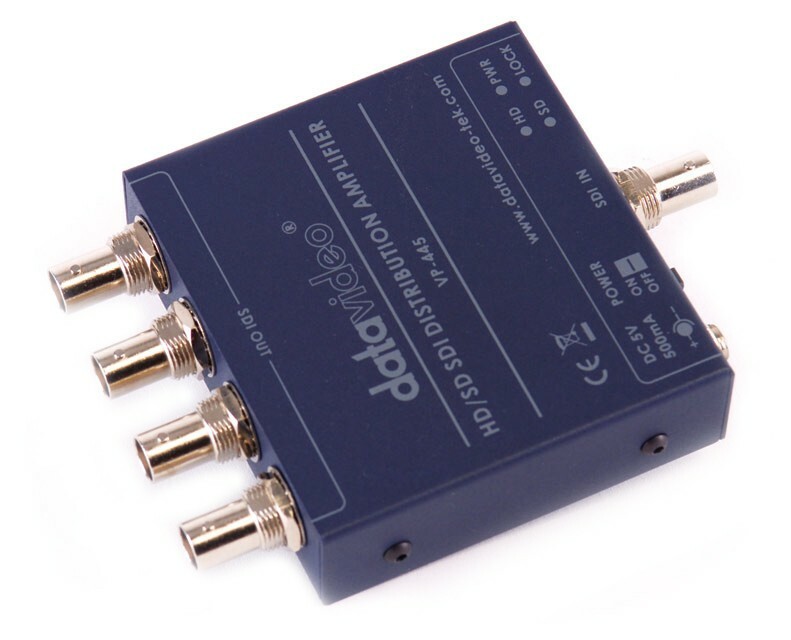 Other converters available for HDMI to HD-SDI, etc. - CALL. Use this Datavideo VP-445 HD-SDI DA to expand the outputs of the MCS8M to multiple devices or video paths. Add $480.00. 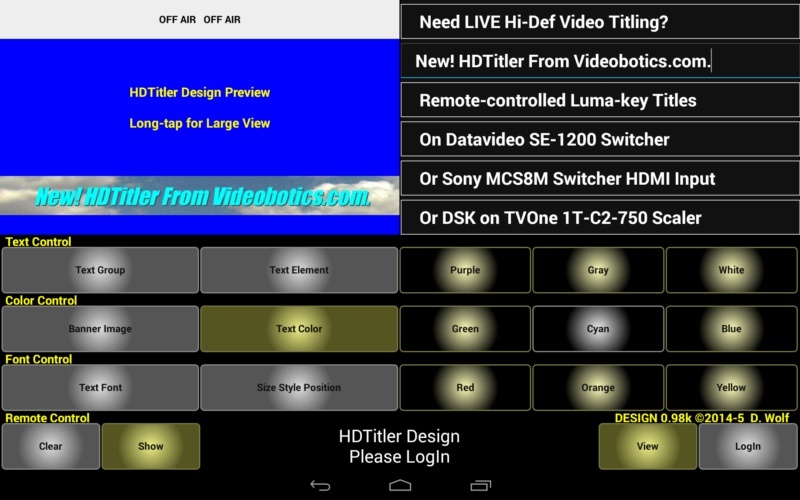 Videobotics can provide other devices, extras, and add-ons like recorders, internet-remote control options, and more. We're happy to help with special applications. Please CALL to discuss your needs. Web pages, images, control applets, & file downloads: (c)1990-2017 by D. Wolf. All rights reserved worldwide. Thank You for visiting the Videobotics Monitors and Accessories Page. Come Back Soon!